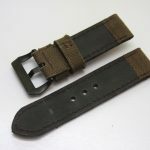 It’s been quite a while since we had a Pulchers Leather Panerai strap review here on Panerai Central. So when they reached out and said they had some new products in their lineup and would love for me to check them out, who am I to say no? 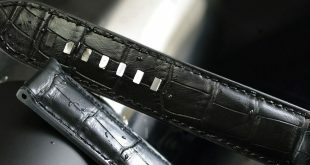 This overseas leather worker does more than just make watch straps, they are a full leather shop creating everything from jackets to handbags that are top notch. 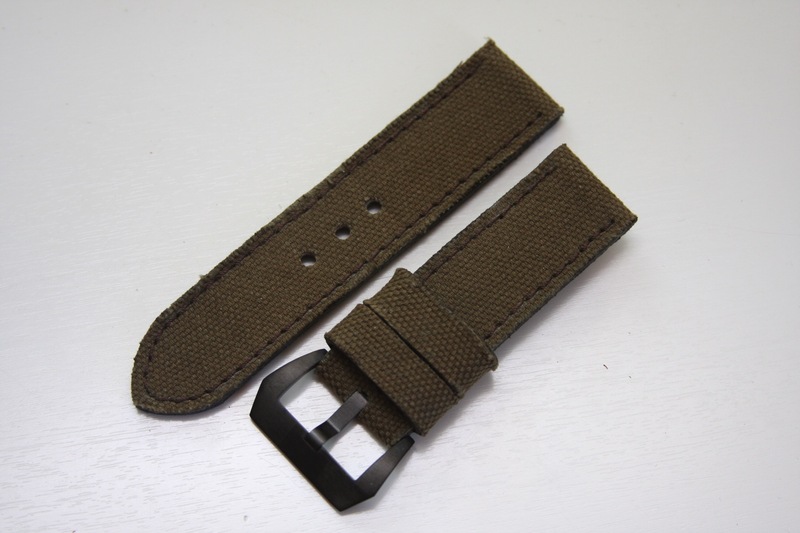 This latest review is going to be on their ammo green canvas strap. 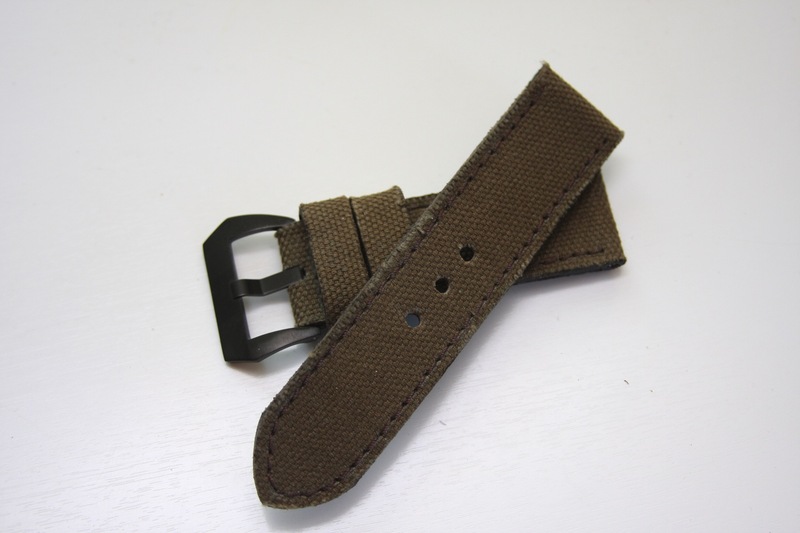 Let’s see how this strap holds up to the Panerai Central test. 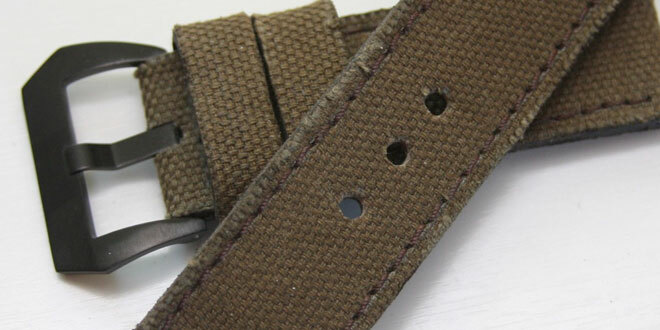 The strap from Pulchers Leather is a nice camo olive green that will nicely compliment any Panerai watch model. 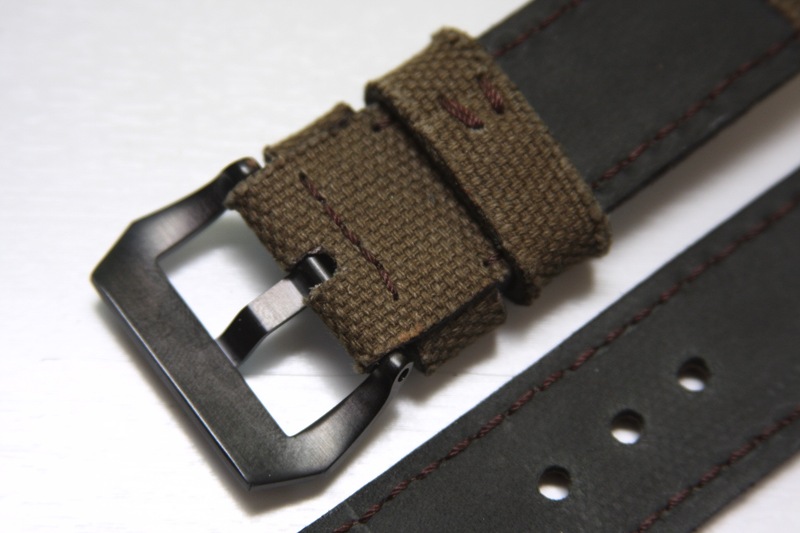 It’s constructed with two layers of leather fused together tightly and then a nice thin layer of olive green canvas that is layered on top of the strap. 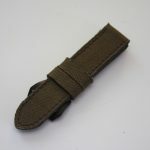 The edges of the strap and canvas material are left rough which is a perfect match for this type of strap. 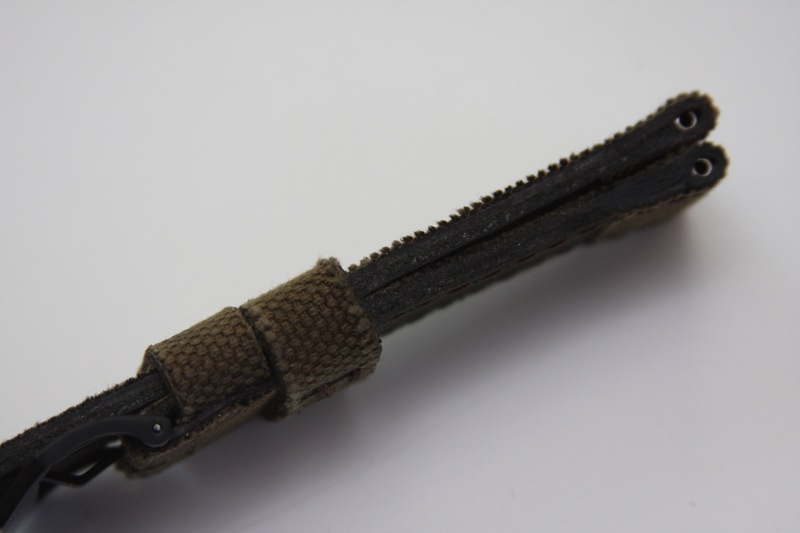 You can see in the pictures that the fraying on the different parts of it gives the strap some nice character. 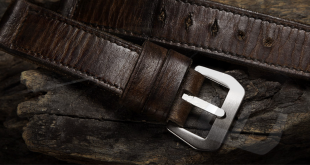 Over time and the more you wear it the better this vintage look will become. 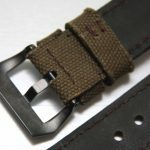 The strap is stitched very precisely with an almost purple color thread that blends and contrasts with the strap perfectly. In some lights it looks like a dark brown and in others it gives off the purple hue. I don’t have a name for the color but I have to say it is a great choice. 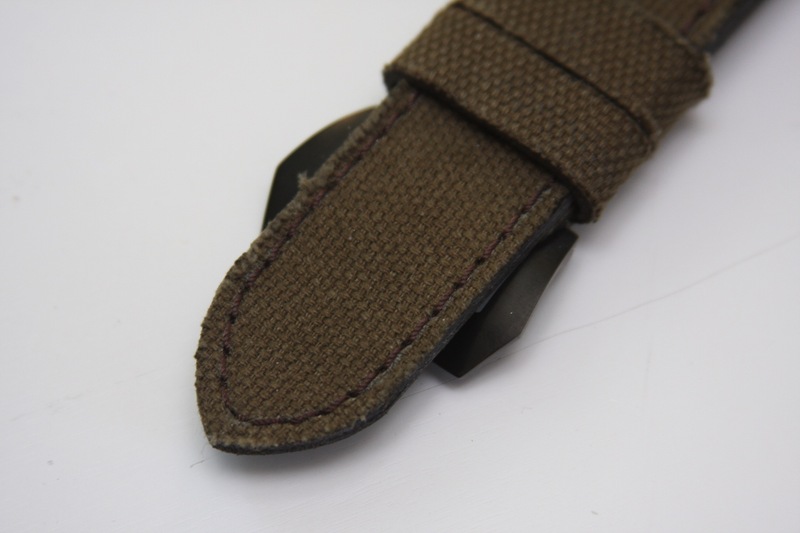 Pulchers went with a more minimal approach when it came to the number of holes on the tail end of the strap. 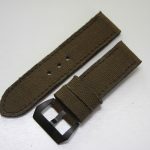 They punched 3 holes which is a change from a lot of the other straps that we receive but if matched your wrist size it will look very clean. 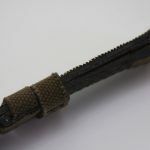 The buckle end features two keepers, one floating and one fixed, and finished off with a black Pre-V buckle. 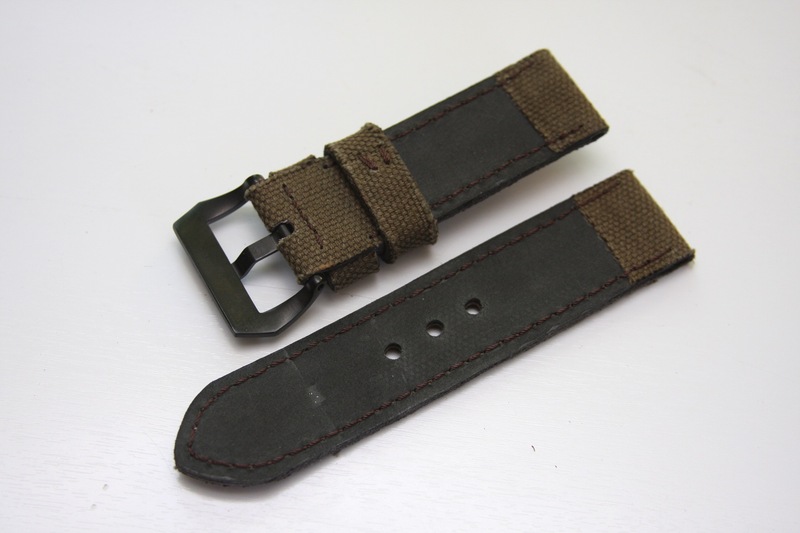 I have always been a fan of the black and green combination and this works beautifully bringing great harmony to a very well made strap. 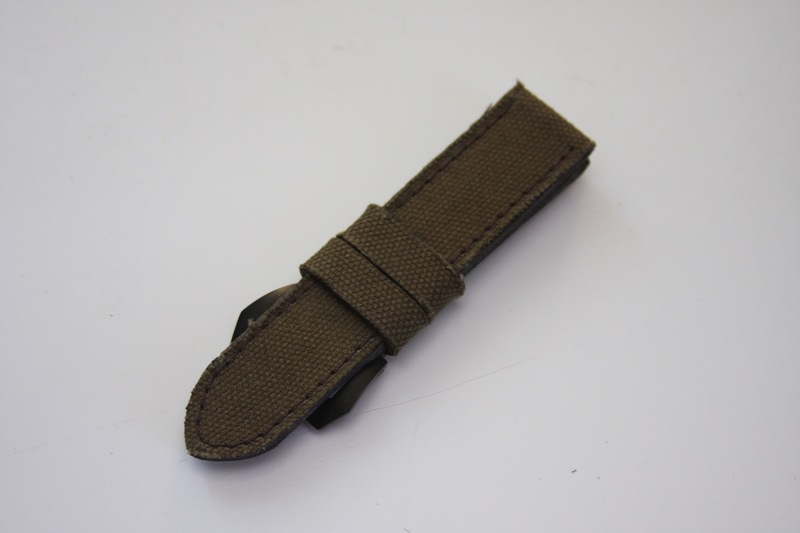 From the beginning I noticed that the strap is very malleable compared to other canvas straps that I own. 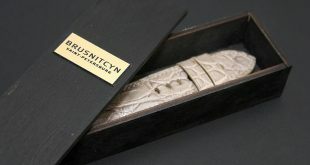 The main reason for this is the way that it is constructed. 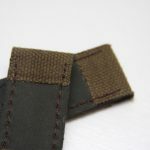 Instead of using purely the canvas material to create the complete strap, the thin layer of canvas on top of the soft leather makes it a lot easier to bend and shape to your wrist. 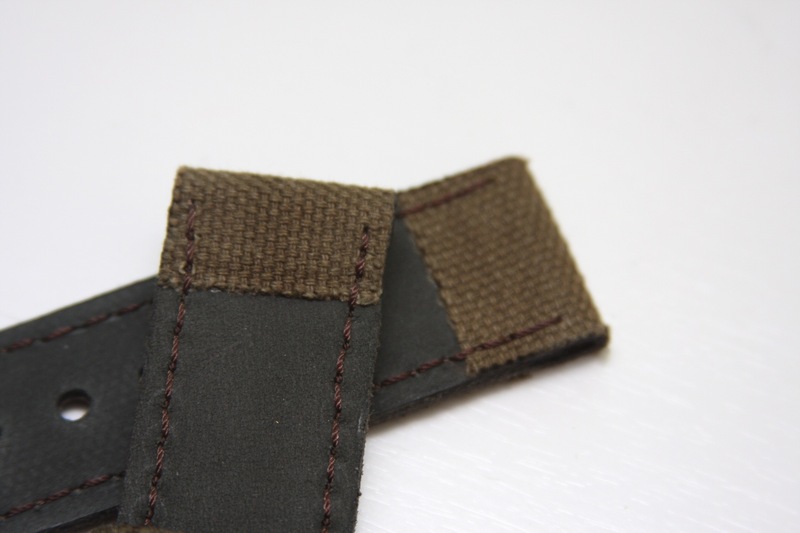 You get the great look of canvas on the outside with the comfort of supple leather on the underside. 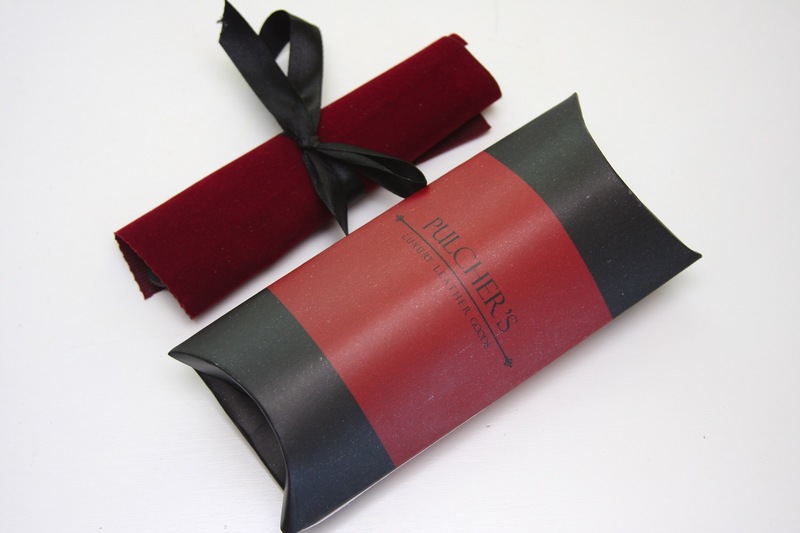 I have been a fan of Pulchers straps from the very start and I believe they make great quality straps for the price. 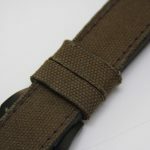 Compared to a lot of other overseas companies they do a great job in terms of stitching, fit, and overall durability of their straps. 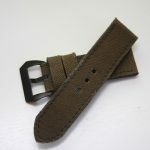 They have a nice variety of straps in terms of materials and colors so there is definitely something that will work for your taste. 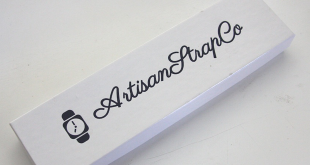 Very soft for being a canvas style strap. 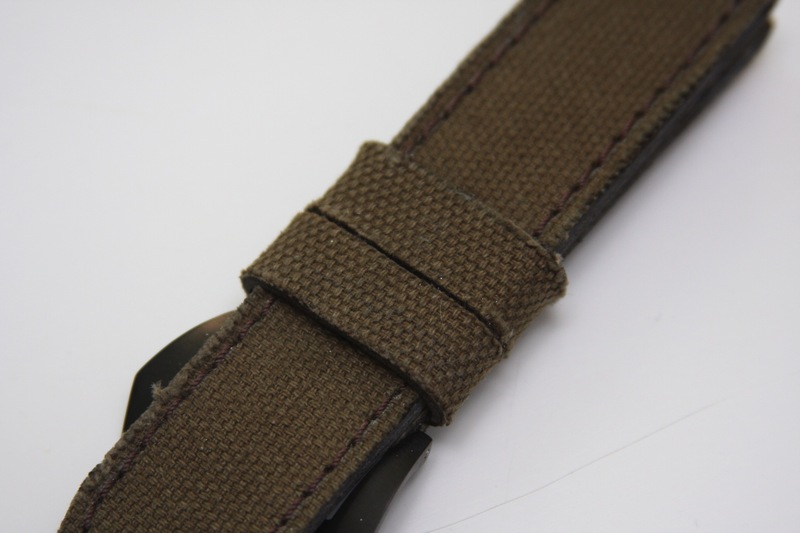 Very clean design and stitching throughout the strap. Might take a bit longer since its coming from Asia. 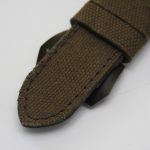 All straps can come as you see them in the pictures or customized with different length, stitch colors, widths and buckle types.